﻿ Lionel Messi wins his 4th FIFA Balon d'Or (2012). 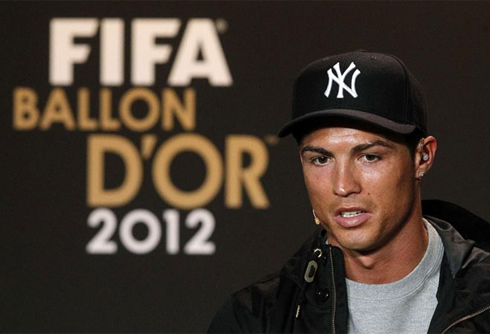 Cristiano Ronaldo gets second place! 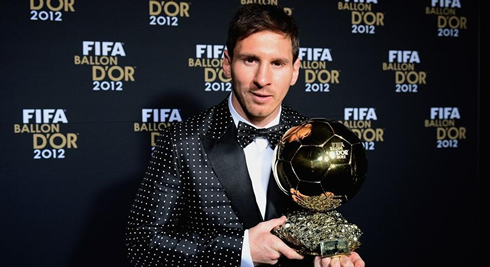 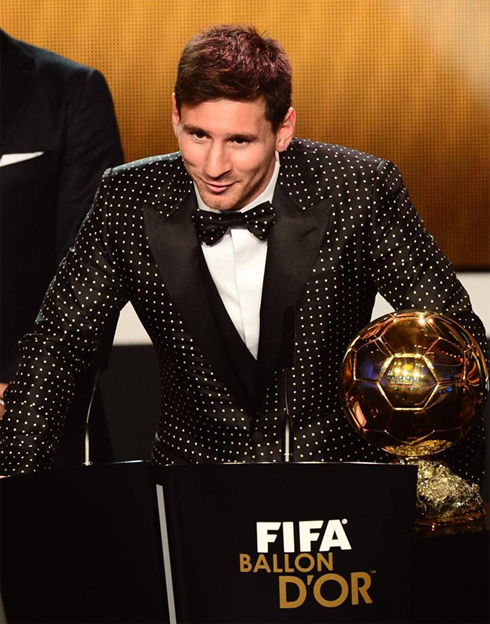 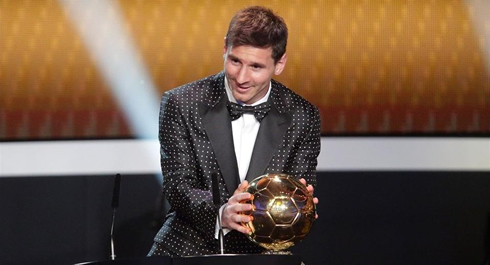 07.01.2013 » Lionel Messi wins his 4th FIFA Balon d'Or. 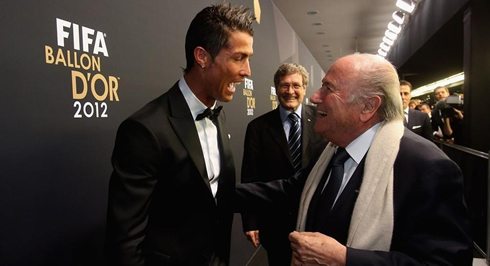 Ronaldo gets second place! 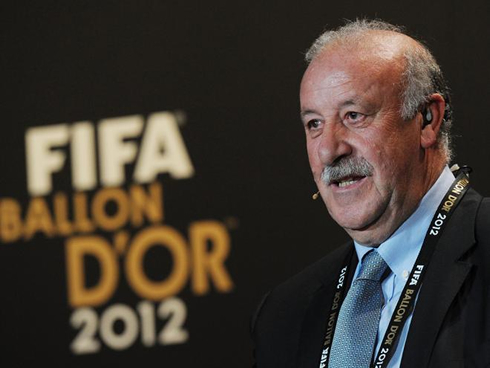 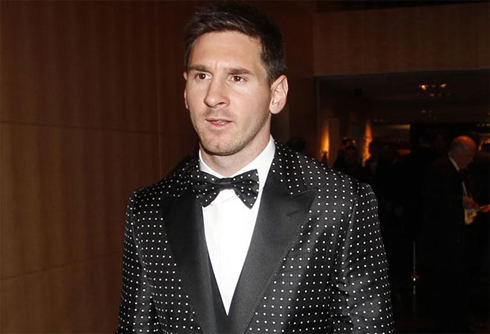 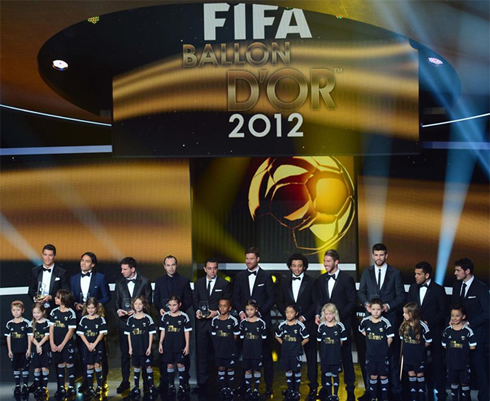 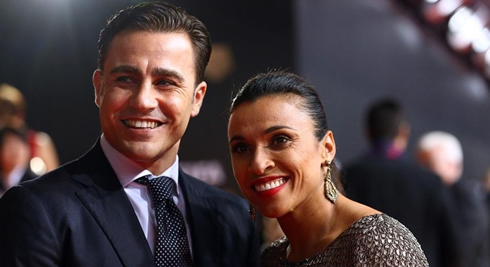 The elite football comunity gathered in Zurich this past Monday, to attend the FIFA Balon d'Or 2012 ceremony. 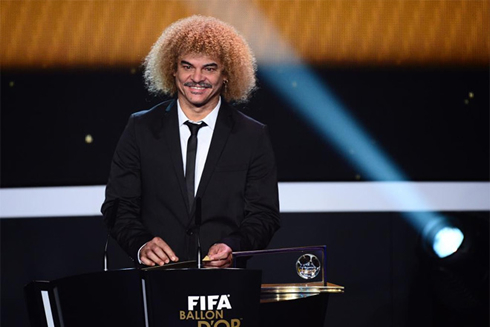 Cristiano Ronaldo, Andrés Iniesta and Lionel Messi were the final 3 candidates hoping to take the glamorous award home, but the honor was given to the Argentinian star. 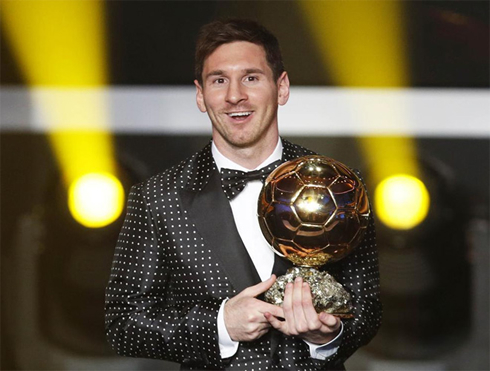 Messi won his 4th consecutive FIFA Balon d'Or with 41.60% of the votes, while Ronaldo got second place with 23.68% and Iniesta third, with 10.91%. 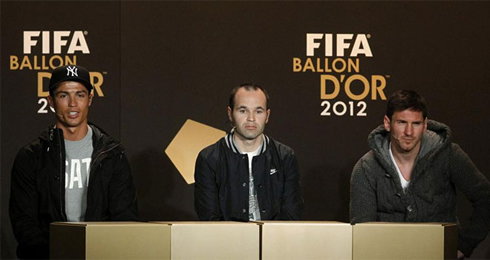 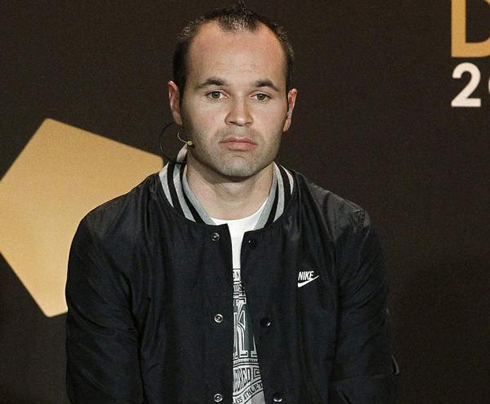 Cristiano Ronaldo and Andrés Iniesta were clearly rated as the two underdogs into this FIFA Balon d'Or 2012 award race. 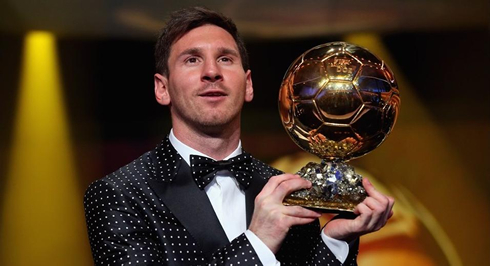 As soon as Lionel Messi closed the gap to break Gerd Muller's goalscoring record in a single year, he quickly became the favorite to win this trophy, regardless of what he had accomplished with his team. 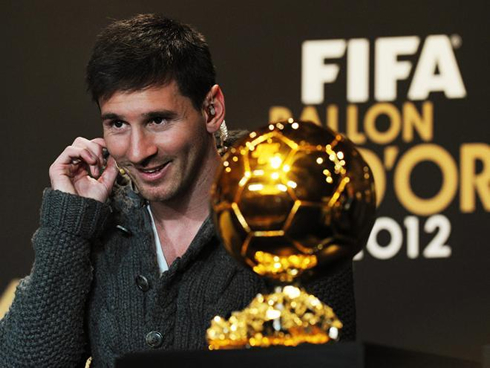 No one is trying to undervalue Messi's 91 goal tally in 2012, but given the fact that those goals basically didn't led his team to win any trophies other than a Copa del Rey, why do many people still ranked his 2012 year as better than the one Ronaldo had? 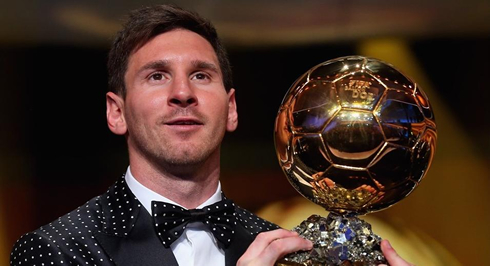 Does anyone really believe that Messi's 91 goals didn't led to any significant title simply because the rest of his teammates weren't up to the task of playing close to his level? 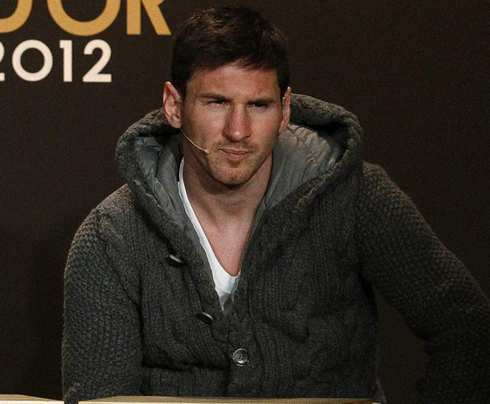 That doesn't seem to make much logic, especially since there seems to be a consensus about this Barcelona team being the best ever in the club history. 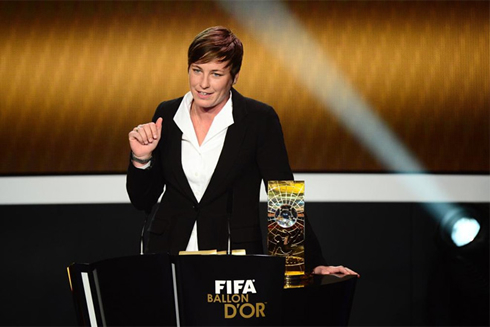 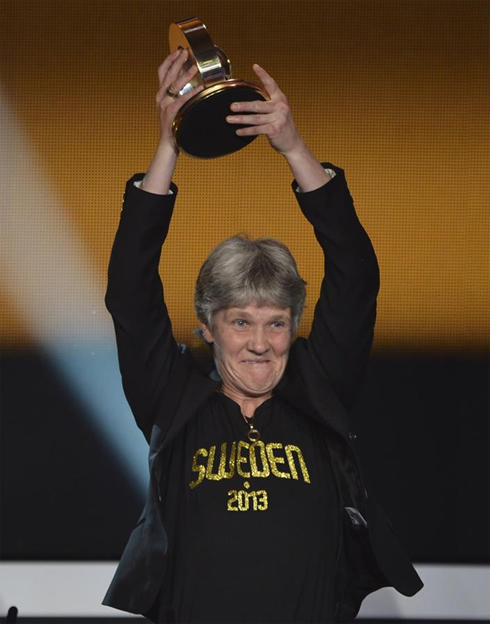 As for the other prizes given out this Monday night, Abby Wambach won the FIFA's Women Player of the Year 2012 award, while Vicente del Bosque won the FIFA World Coach of the Year for men's football trophy and Pia Sundhage collected the same one but for the Women's football. 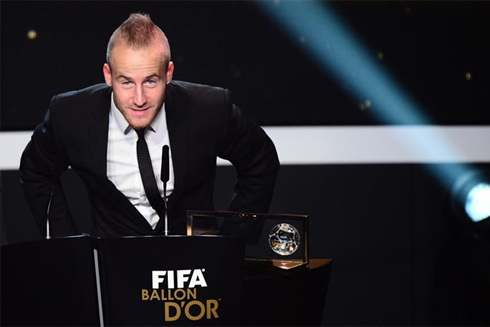 The FIFA Puskas award honored the best goal scored in 2012 and it was delivered to Fenerbahçe's player, Miroslav Stoch. 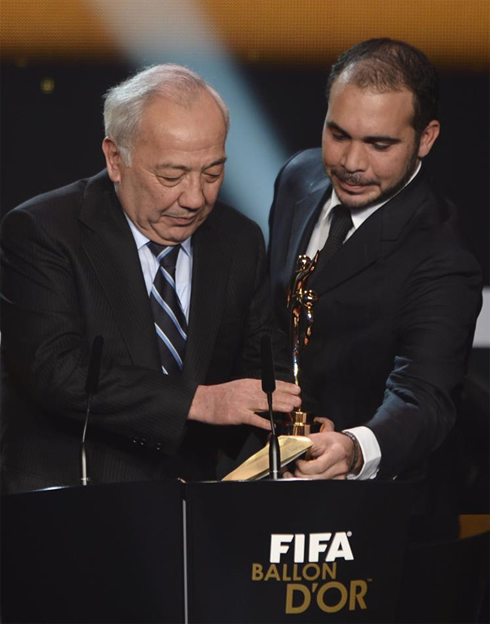 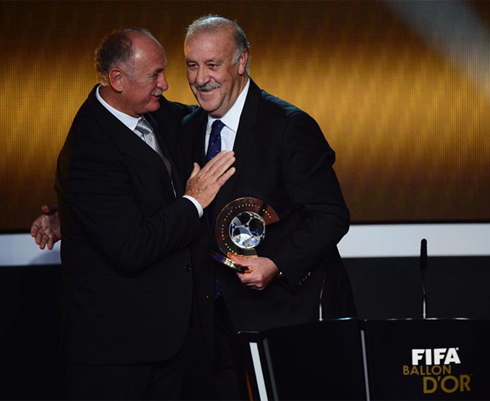 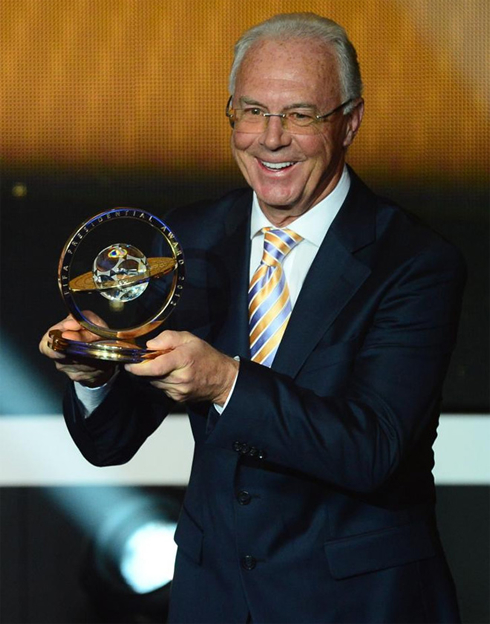 The FIFA Presidential award 2012 was given to Franz Beckenbauer and the Fair Play award was handed to the Uzbekistan Football Association. 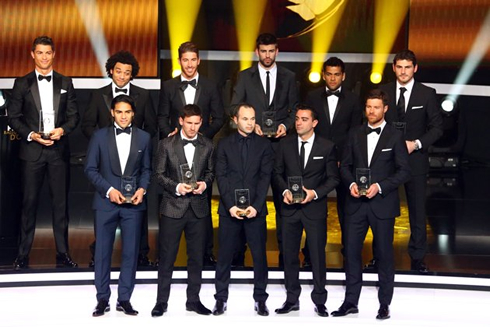 Last but not least was the FIFA/FIFPRO World XI, revealing the best starting line-up of the year. 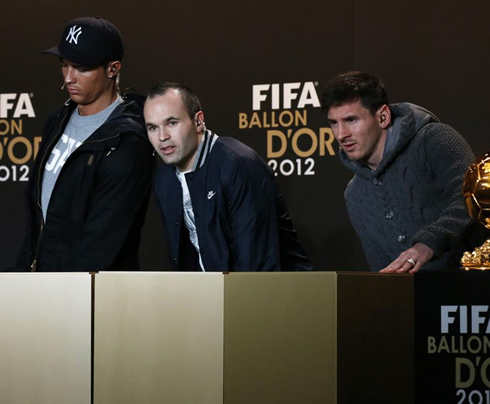 Cristiano Ronaldo starred in the attack alongside with Radamel Falcao and Lionel Messi, while the midfield was formed by Xabi Alonso, Xavi and Andés Iniesta, and the defence by Marcelo, Sergio Ramos, Piqué and Daniel Alves. 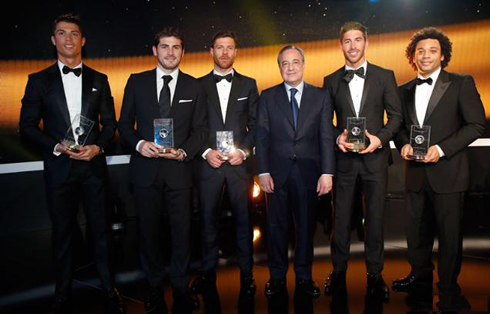 The goalkeeper was Real Madrid's captain, Iker Casillas. 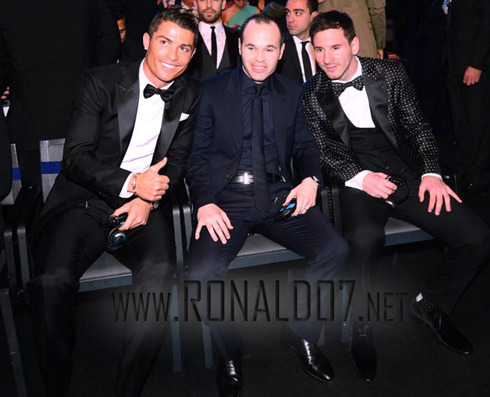 Before the ceremony was held, Ronaldo, Iniesta and Lionel Messi attended a short press-conference where they were asked a few and quick questions about this special evening. 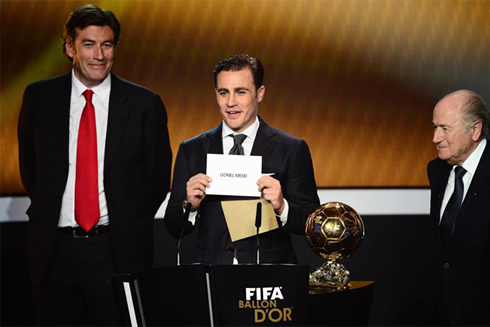 There was a curious one being fired into the the Portuguese and Argentinian player, concerning the reasons why neither of them included the other in their 3 choices for the FIFA Balon d'Or award. 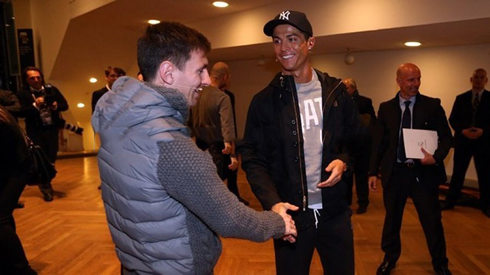 Messi justified his decision with the fact that he cherishes more his teammates, but that he still rates Ronaldo as one of the best footballers in the game. 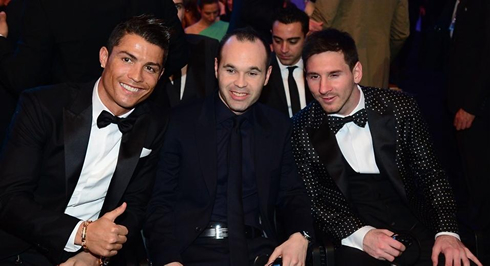 The Argentinian picked Xavi, Iniesta and Sergio Aguero. 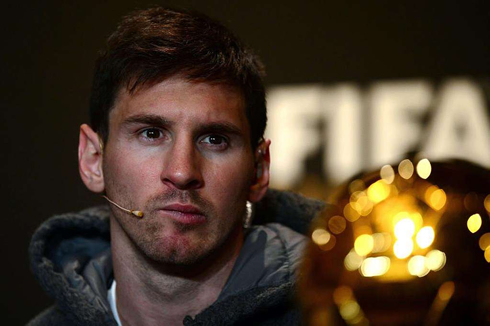 Lionel Messi: "I would be stupid if I didn't rank Cristiano Ronaldo as one of the best players in the World. 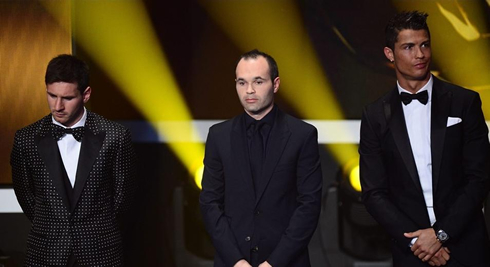 However, Xavi, Andrés Iniesta and Aguero are my friends and I preferred to vote on them...", pointed out the Barcelona forward. 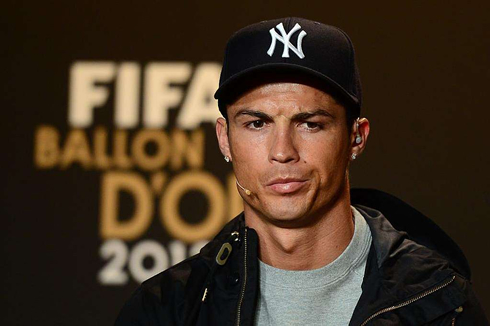 As for Ronaldo, he explained that he ended up not choosing any player whatsoever, since that duty was carried by Bruno Alves instead. 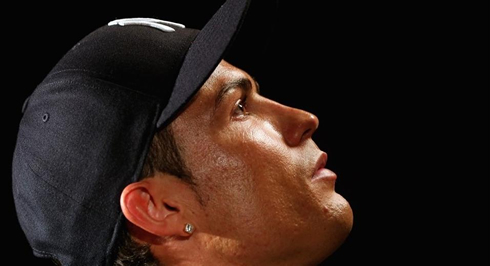 The reason for that to happen had to do with the fact that in the day where was he was supposed to cast his vote, he was still severely injured from an open cut that came from an elbow on his left eyebrow, in an incident that happened in La Liga's game against Levante, on November 11, 2012. 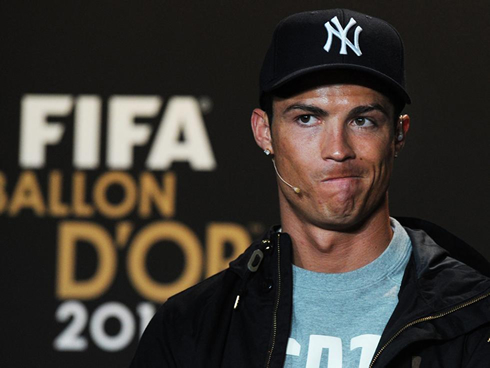 Cristiano Ronaldo: "I didn't have the opportunity to vote. 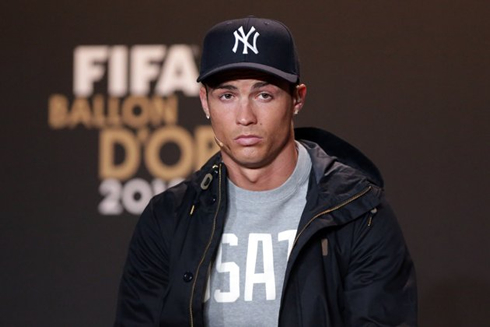 I suffered a cut on my eyebrow during a game for Real Madrid and when I arrived to the Portuguese National Team camp a couple days after, I was sent home by the doctors. 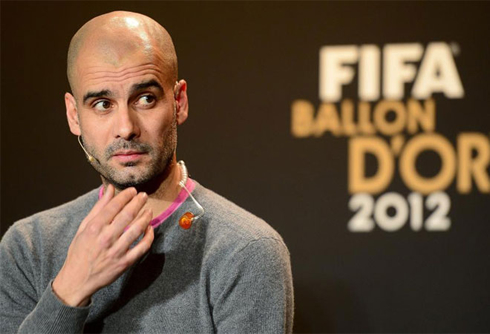 Therefore, I didn't even cast my vote." 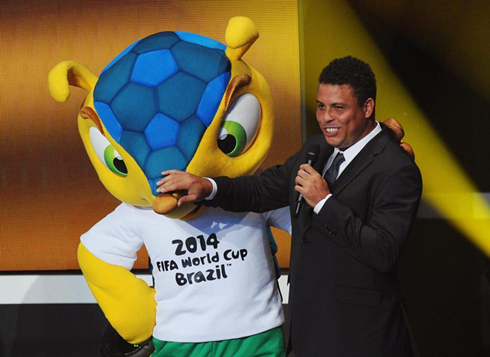 [Bruno Alves took his place, since he is the Portuguese National Team 2nd captain]. 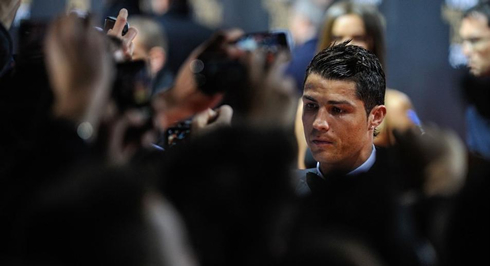 Cristiano Ronaldo next game for Real Madrid will be against Celta de Vigo, for the Copa del Rey, on January 9, 2013. 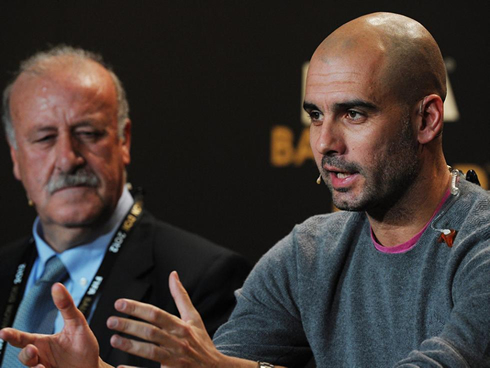 You can watch Juventus live stream, Real Madrid vs Celta de Vigo, Barça vs Cordoba, Manchester United vs Liverpool live and Arsenal vs Manchester city, all matches provided from our football streams section.